We have searched the sewing pattern database to bring you the best selection of patterns inspired by the the fouth episode of the Great British Sewing bee #gbsb. If you haven’t already seen our dedicated Sewing Bee page do take a look, we’ve got loads of exciting Sewing Bee goodness! Here are some tips and tutorials from indie designers and bloggers so that you can learn the techniques used to make the patterns in the show from International week. Starting with the basics, mark your darts correctly with this tutorial from Tilly and the Buttons. Closet Case files has a tutorial with severals ways to finish seams with binding. Colette have posted a tutorial with 8 tips for perfect top stitching. By Hand London have the definitive guide to inserting the perfect invisible zip. Push you skills and sew a pattern with a collar, use this tutorial from Four Square Walls. Facings are a neat way to finish neck and armhole seams. 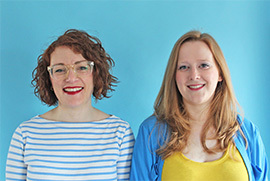 Seamwork have some top tips for securing your facings. Indie Sew have blogged about How to sew better elastic waistbands. Upcycle old fabric and make a beautiful Kimono top with this tutorial from Mollie Makes. Colette have a great tutorial on matching all sorts of different prints, including larger prints that you often find in African wax prints. Megan Nielsen has a tutorial on her blog to create an off the shoulder ruffle dress. And finally check out this tutorial from By Hand London about adding a peplum using their very cool circle skirt app!